A Follow Spot: Reading History with "History Reads"
The McLean County Museum of History, in conjunction with the Bloomington Public Library, has announced a "History Reads Book Club," meeting in the Governor Fifer Courtroom on the 2nd Floor of the Museum on the first Tuesday in February, May, August and November, 2011. 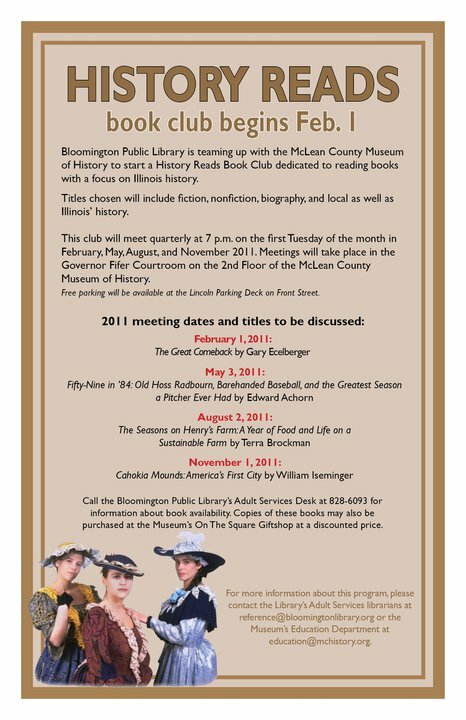 Selections for this book club may include fiction, non-fiction, memoirs, biography and any other kind of book that illuminates Illinois history. 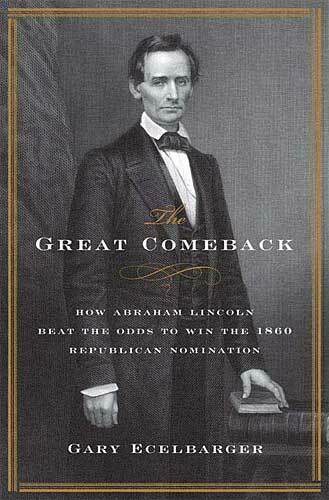 First up, "The Great Comeback" by Gary Ecelberger, which is subtitled "How Abraham Lincoln Beat the Odds to Win the 1860 Republican Nomination." Most Illinoisans know a bit about Lincoln in New Salem, in Springfield or as President, but Lincoln the political operator maneuvering behind closed doors to nab his party's nomination is something a little different. Ecelberger's book was published by Thomas Dunne Books in 2008 and has received excellent reviews, including a rave in Publishers Weekly that called his prose "enthralling." "The Great Comeback" will be discussed at 7 pm on February 1st at the McLean County Museum of History. For more information, check out the this page from the McLean County Museum of History, this page from the Bloomington Public Library, or the publisher's page on the book itself. Copies of the book will be available for purchase at the museum gift shop or to check out at the library. Participants in the History Reads Book Club are invited to browse the museum before or after the discussion. Lots of good stuff there to look at! You knew this one would be dear to my heart! !